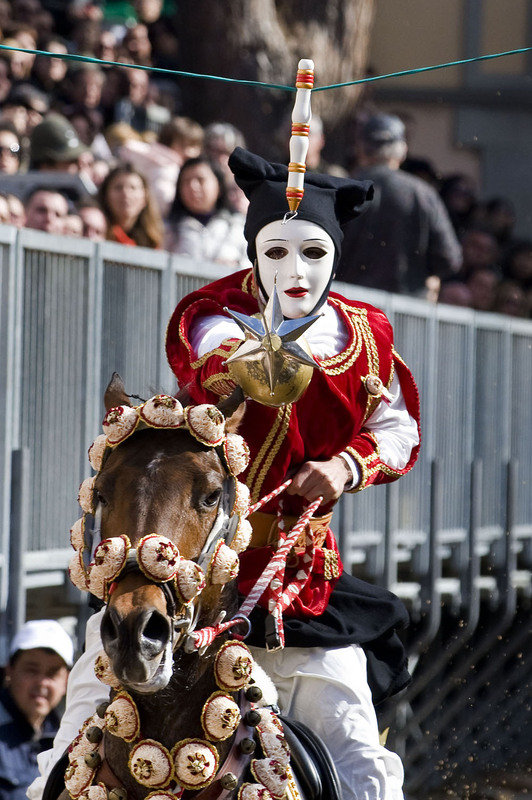 Masked riders wearing Sardinian and Spanish traditional dresses try, one at a time and galloping, to string with a sword a star hanging by a green ribbon taut in front of the town’s cathedral. The farmers’ and the artisans’ corporations, organizing respectively Sunday’s and Tuesday’s races, compete for the following years’ best harvest, which will go to the one catching the greatest number of stars. 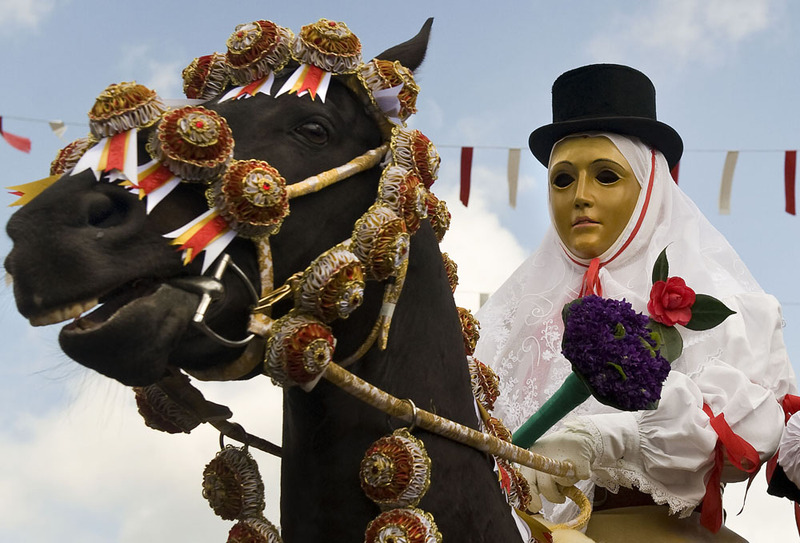 Every year, during Candlemas, the two corporations, asking their patron saints for protection, appoint their own Componidori, the ‘race leader’, a demigod wearing an androgynous mask and the typical Eighteenth century’s farmers’ and artisans’ outfit. 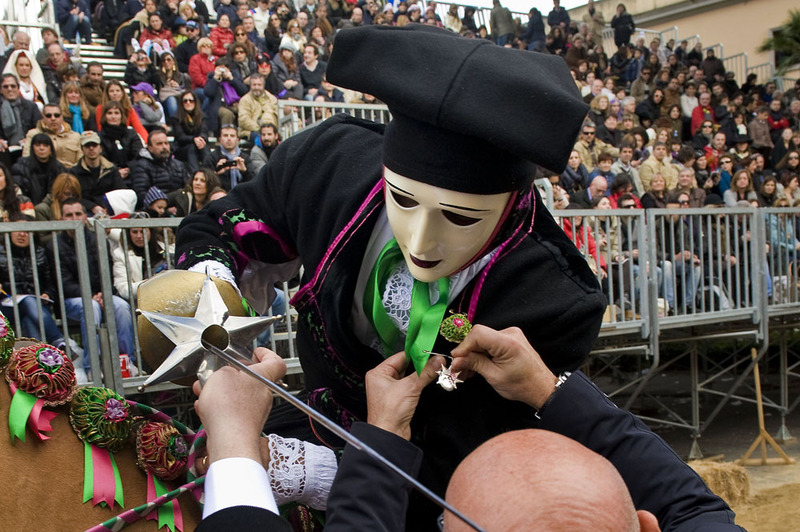 Since the moment he or she (there have been only two women Componidori so far) gets dressed in a morning ritual opening Sa Sartiglia, Su Componidori won’t be able to touch the ground until almost night, when the event is over. 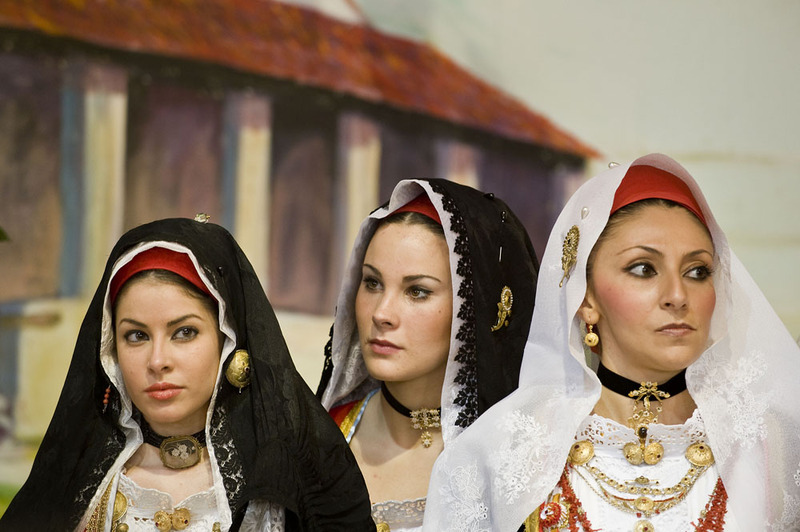 The ceremony during which the race leader adopts the features of Su Componidori by having his outfit sewn by two massaieddas, young women wearing the typical dress of Oristano, is a one hour long ritual whose apex is when he has the androgynous mask –a yellowish wooden one for the farmers and a white ceramic one for the artisans- put on him. 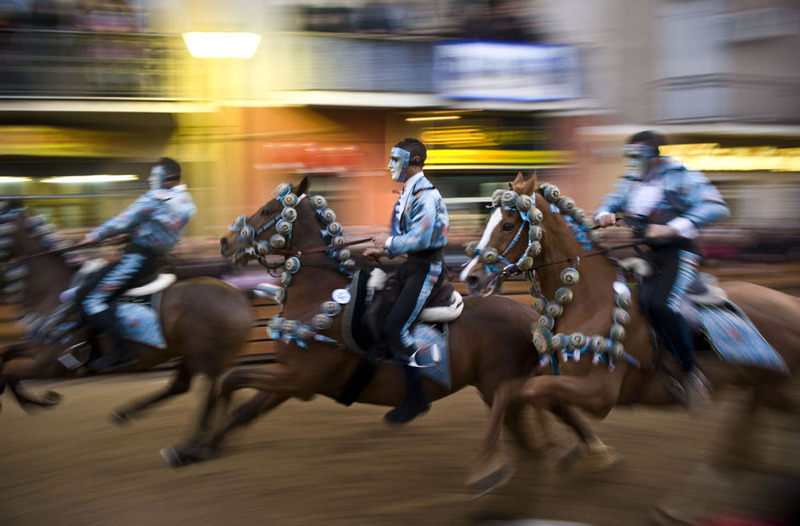 During the race to the ring around 80 horsemen and women (mostly the first ones) chosen by Su Componidori, follow one another at the sound of trumpets and drums while the town’s people, never as united as in this event, follow carefully their running to see who will make it in the strenuous deed. 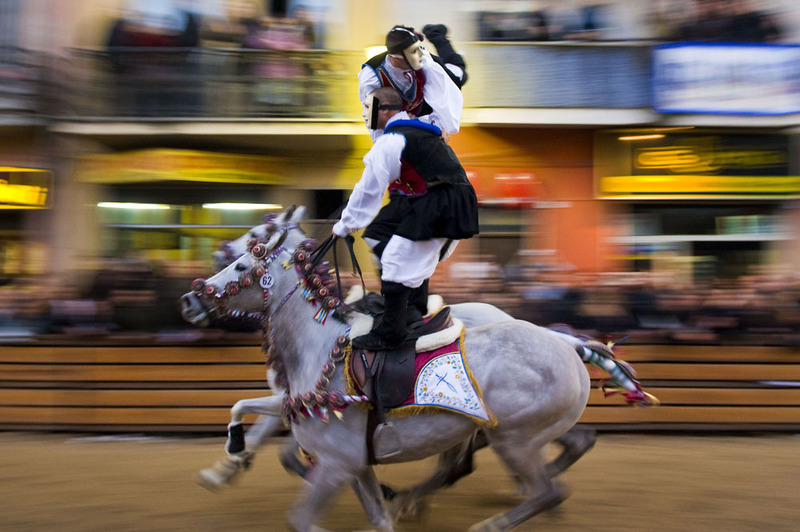 The event closes with ‘le pariglie’, acrobatic performances generally carried out by three horsemen and women at a time. 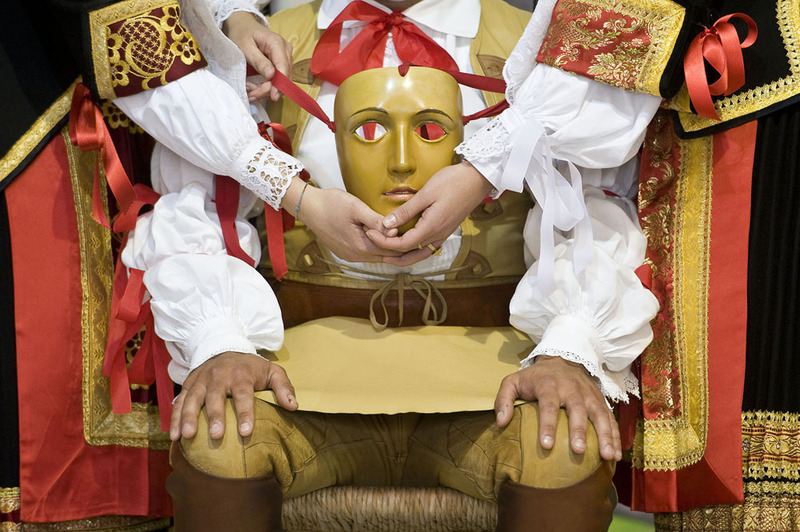 Historically, pariglie were created by common people as a revenge to the more aristocratic Sartiglia, where they were excluded. 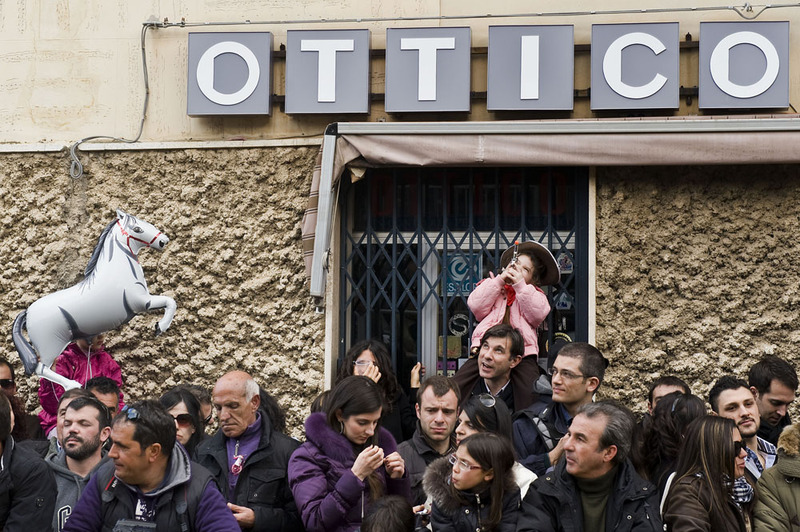 When Sunday is over, everyone in town waits impatiently for Tuesday to come. And when also Tuesday is over there is no sadness, no sense of ending. It is about time to plan next year’s event.